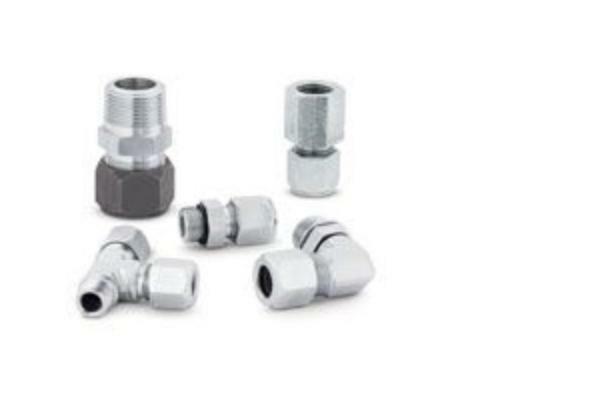 Parker's 24° Flareless tube fittings, Ferulok, have a visible bite which allows the fitting assembler to visually inspect the bite quality, which significantly minimizes the risk of improper assembly and related service problems in hydraulic connections. The rear compression grip of the ferrule firmly holds the nut and tubing, dampening the effects of vibration and extending the life of the joint. Exceeding the requirements of SAE J514, Ferulok Flareless fittings are especially suitable for use with applications requiring tube wall thicknesses ranging from medium to extra heavy.